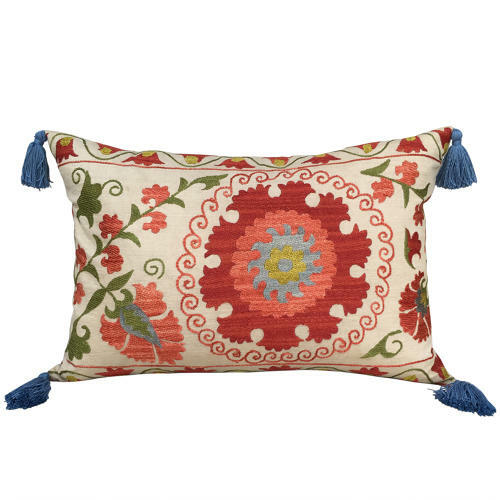 This pretty pair of cushions has been made from a vintage Suzani. The silk embroidery is on a cotton ground which has been stained to give the appearance of age. It is most likely 1970s or 80s. The cushions have linen backs, bamboo yarn tassels, zip fasteners and feather pads.